I haven’t made this dish in at least 5 or 6 years….forgot how delicious it is ! Very easy prep, and leftovers are even tastier if you store them in the wine sauce. 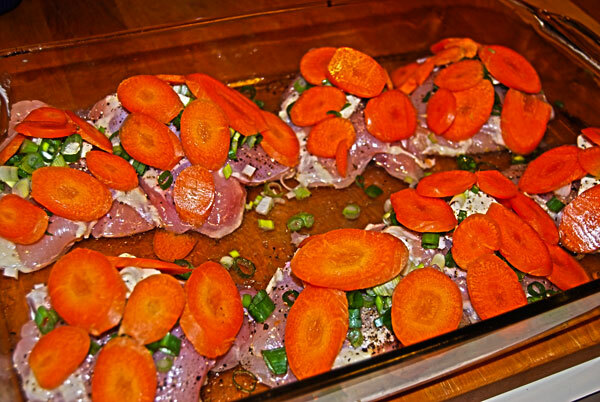 Remove skin and extra fat from the chicken and place in 9×13 inch baking pan. Pour wine over the top of the chicken. Salt and pepper to taste. Place a small little pat of butter on each breast, sprinkle on diced scallion. 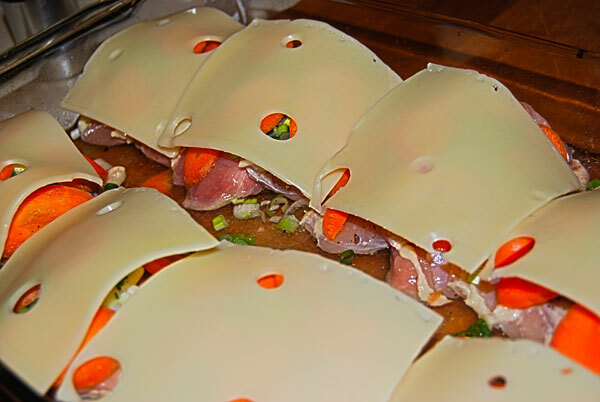 Layer with sliced carrots, and top with one slice of Swiss cheese. Cover pan with aluminum foil to get a nice seal around the edges and bake for 30 minutes at 375 F. Remove foil and bake an additional 10 minutes. 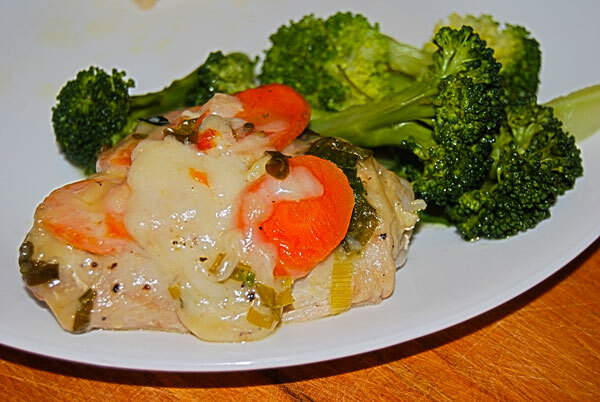 If you like this dish, then check these out ! Sounds good! I love chicken thighs. yum yum yum! This looks delicious!